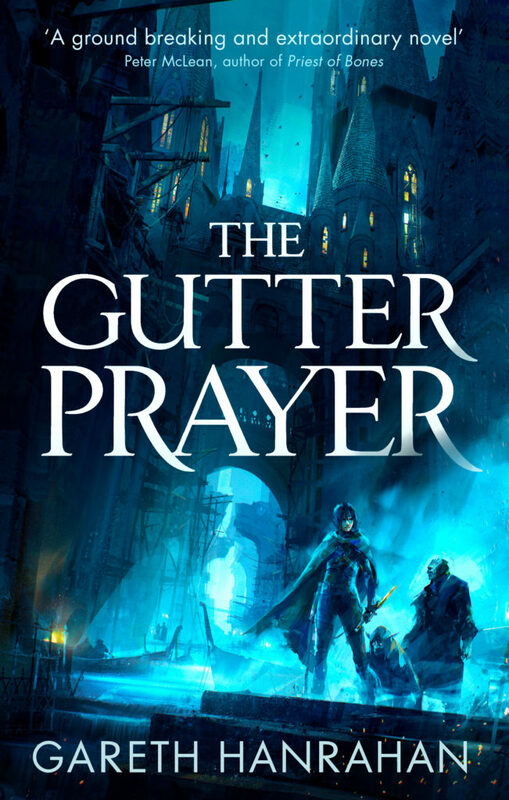 Set in a world of dark gods and dangerous magic, Gareth Hanrahan’s remarkable debut, THE GUTTER PRAYER (UK|US|ANZ), is set to be a must-read for fantasy fans in 2019. It will hit the shops early next year, and we’re thrilled to reveal the striking cover below. In the ancient city of Guerdon, three thieves – an orphan, a ghoul and a cursed man – are accused of a crime they didn’t commit. Their quest for revenge exposes a perilous conspiracy, the seeds of which were sown long before they were born. 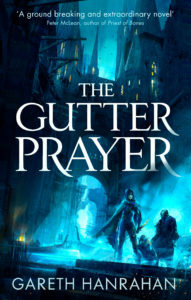 A centuries-old magical war is on the verge of reigniting and in the tunnels deep below the city, a malevolent power stirs. Only by standing together can the three friends prevent a conflict that would bring total devastation to their city – and the world beyond.